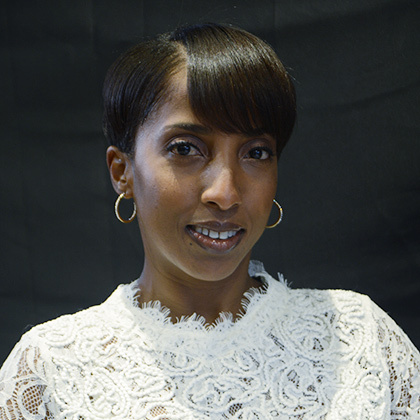 Located in the heart of Earlsfield, Bubbles is a multi-cultural hairdressing studio for everyone. Whether you are after a funky new colour, a fantastic cut, a brilliant blow dry or a glamorous new look, you will leave this salon feeling confident and happy with your style. The Bubbles team of talented stylists are passionate about beautiful hair. We deliver immaculate styles with flair, ensuring they suit your individual style. 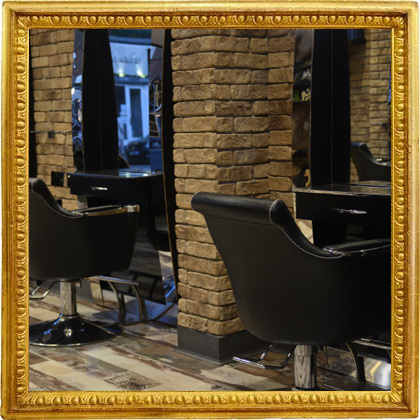 Over a cup of tea, coffee or a glass of wine we offer a full consultation to ensure we achieve your desired look. At Bubbles we all have individual styles of working to suit every type of client or occasion; whether you are looking for a vintage look, a modern style or a catwalk trend, we are here to help bring out the best in you and your hair. 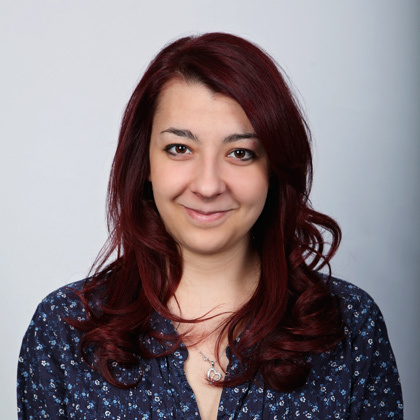 Hello, my name is Ina - the founder & manager of Bubbles. 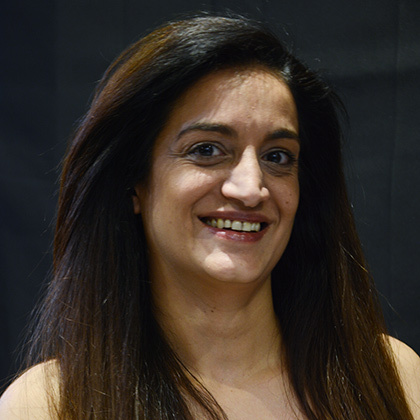 I have been hairdressing for the past 25years builting up a large and loyal clientele in the local area. 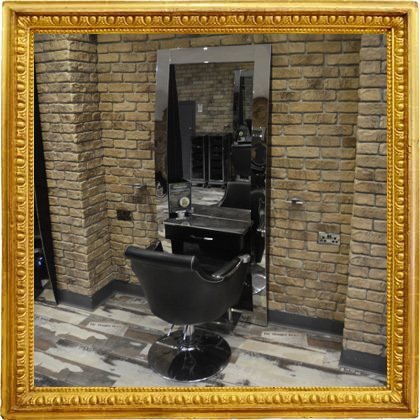 My desire is to create a hair studio providing a luxury experience in a cosy, calm and clean environment, offering a high standard of professional hair services. Hey I'm Sarah! I've been hairdressing now for over 10 years & am still very much in love with my job. I specialise in short hair cuts & colouring although any hair brought to my chair is always a joy! 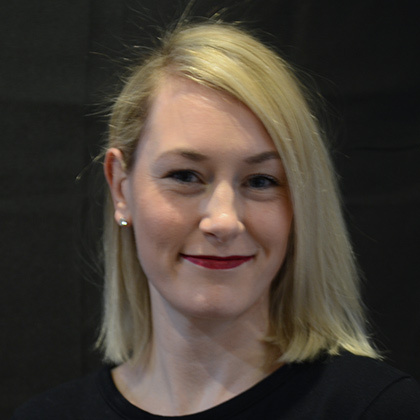 Hi, I am Irina & I've been stylist for over 15 years. I specialise in colours, I've done my "colour master" 5 years ago. I love the challenges& the creativity my job & truly enjoy transforming my clientele. 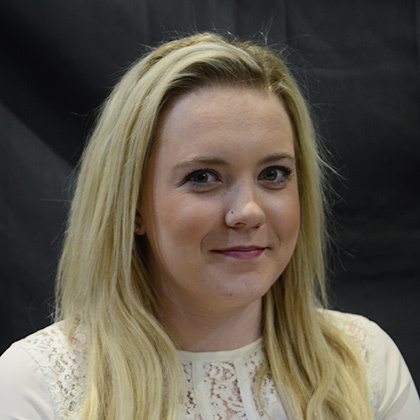 Hey I'm Eve & I am Bubbles receptionist & blow dry specialist. I enjoy blow drying & have concentrated on doing that for the last 3years. I love interacting with people & the whole experience of working in the busy salon. Hey guys! My name is Chloe & I 21years old. I qualified in level 3, 3years ago & I've been working for Bubbles for over 2 years. I can cut & blow dry at reduced price to what seniors stylist charge. 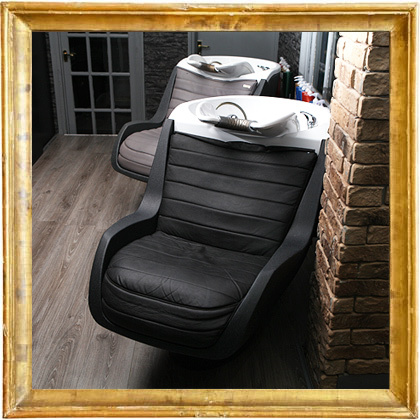 Bubbles is a very fun, friendly & trendy London salon & we always try our hardest to give you a 1st class experience that will leave you feeling glamorous! I can guarantee you will leave my chair with lots of confidence and fabulous hair. We operate 24 hrs cancellation policy.
" No show" for appointment is charged 100% of the booking value. In "Bubbles" we have unique menu of JOICO treatments. JOICO has harnessed the power of DNA science & the latest developments in bio-mimicry to create their patent-pending Bio-Advanced Peptide Complex TM. The result is hair loving treatments that have the power to transform. The four step deep-penetrating treatment is suitable for all hair types. It stops hair from breaking by restoring its original strength & also prevent colour from fading, by rebuilding hair internally. Increase style-ability, elasticity, shine & condition. The four step system begins with Chelating shampoo that cleanses deeply to remove any mineral deposit & hair product build-up to ensure the reparative ingredients can penetrate the hair to maximum effect. The second phase, the cuticle sealer, smooth & constricts the hair cuticle. It increases elasticity to make your hair more resilient. Phase three is a deep-penetrating hair reconstructor. Packed with protein, this step works hard to rebuild the hair structure & internally helps to prevent hair colour from fading. This means the colour stays brighter & last longer, because the internal support system is improved. The nourishing formula also increases the hair shine, general condition & manageability. The fourth & final step combines a blissfuly relaxing head massage with an intense hydrating hair masque. 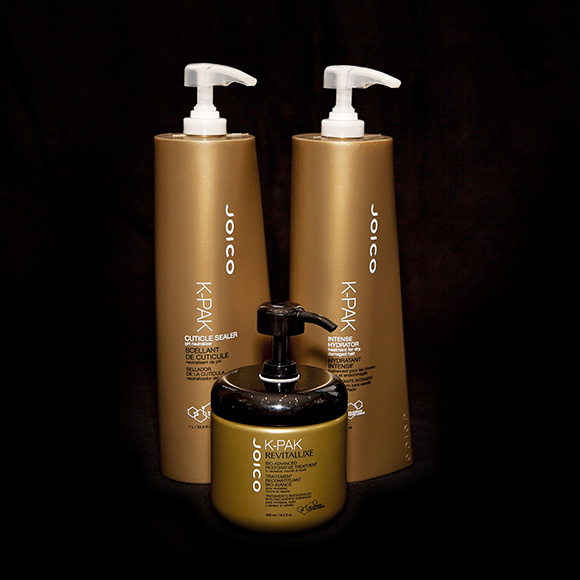 The result is shiny, strong, healthy hair thats easy to style & full of bounce & body. 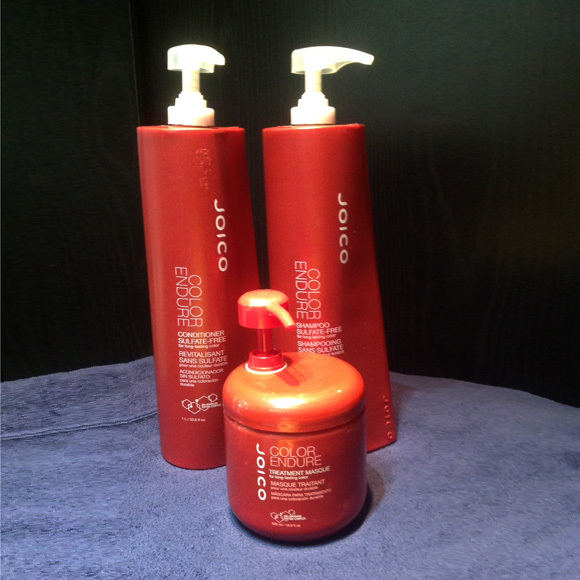 In "Bubbles" we offer three amazing JOICO Masques who are perfect for preserving colour, infusing moisture & strengthening the hair. An exclusive in-salon step, the JOICO Cuticle Sealer, starts the Masque treatments & smooths & tightens the cuticle to lock in colour & health. It reduces pH swelling to restore hair back to its natural state & ensures it looks its very best. 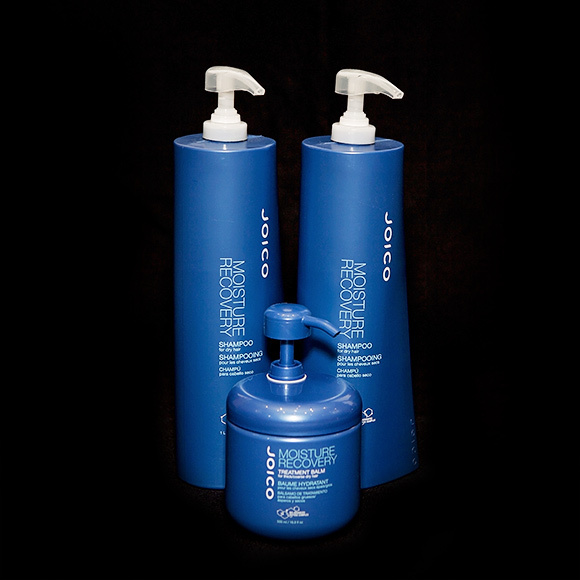 Delivers complete restoring & hydration for dry, damaged hair. Suitable for all hair types, but especially beneficial for hair damaged by over use of heated styling tools. For dry, thirsty hair. With nourishing extracts from Murumuru, Olive & Shea butters this treatment hydrates & strengthens you hair. Replenish the moisture moisture lost, increase strength & reduce breakage by 80%. For colour treated hair. Make your colour last longer & hold the brightness. Perfect for regular colour maintenance or to prepare your hair for a sunny holiday. If you love your colour, make it last longer. Improves the strength and quality of the hair from the inside out. 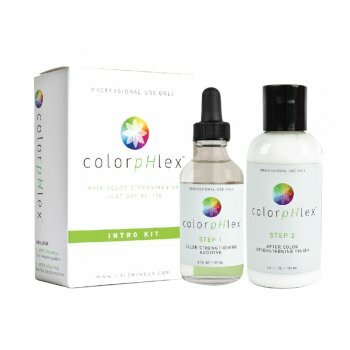 Scientifically formulated, colorpHlex uses a naturally derived vegetable protein molecule that penetrates the hair, reinforcing bonds during the color and bleach process. Clinical trials show that a small amount of colorpHlex added to hair color or bleach makes hair up to 4Xs stronger, significantly reducing breakage, returning hair to its natural healthy state. The most advanced technology of its kind, this #1 complete hair reparative system, made with ColorStrong Complex™, penetrates the hair and fills in sites of damage which results in durable, long lasting strengthened hair with an overall improved look and feel. ColorStrong Complex™ is a copolymer of a vegetable –derived protein and a reactive silica based compound. It targets the damage areas of the hair, which strengthens and repairs the hair, while also dramatically reducing color fadage. All of the products in the colorpHlex Reparative System, from the salon to the home, are made with ingredients found in nature, are 100% vegan and come in recyclable packaging. In a commitment to producing 100% vegan products that use no animal ingredients and working with suppliers that do not test on animals. Bubbles Hair Studio would like to introduce our new treatment "72 Smoothing system". Hair treatment that has been created by hairdressers! Using premium ingredients such as Avocado oil, Collagen & Hydrolized silk, the 72system repairs the cuticle, improving the overall condition, so you can achieve salon hair goals every time. This treatment last an amazing 12weeks eliminating the frizz & delivering a smooth, consistent results. Depending on the desired look you can rinse the smoothing gel: - after 24 hours: to eliminate frizz, but keep curl/wave - after 72 hours: for straight look You can now forget about the bad hair days, the hassle & the everyday hair stresses! 30% off "72 HAIR SMOOTHING SYSTEM"
Free parking all day Saturday on any side road. © Bubbles Hair Studio 2019. All rights reserved. NM Web Design.